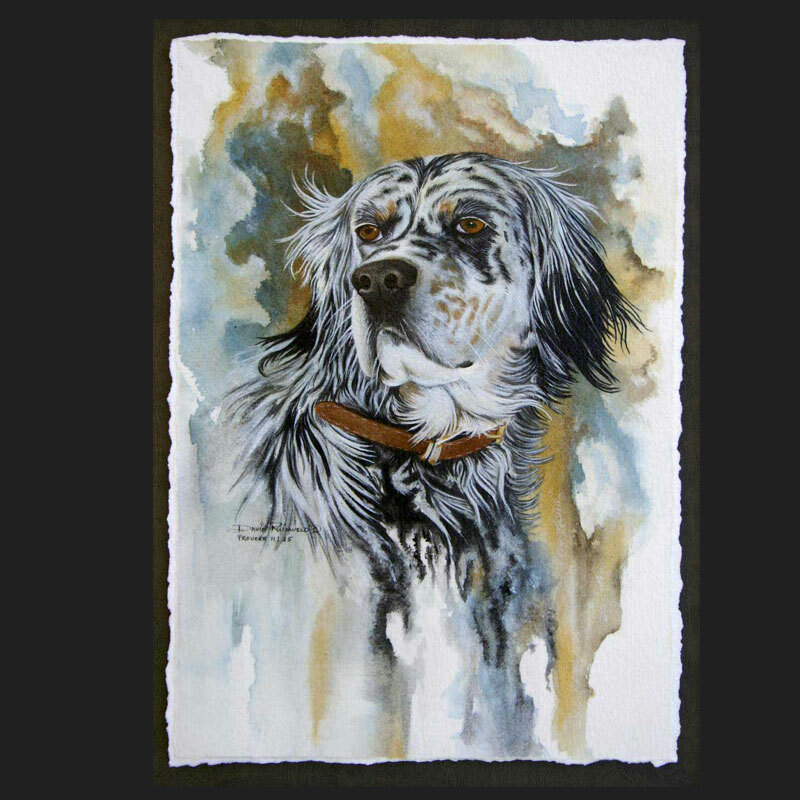 Original acrylic painting on watercolor paper. 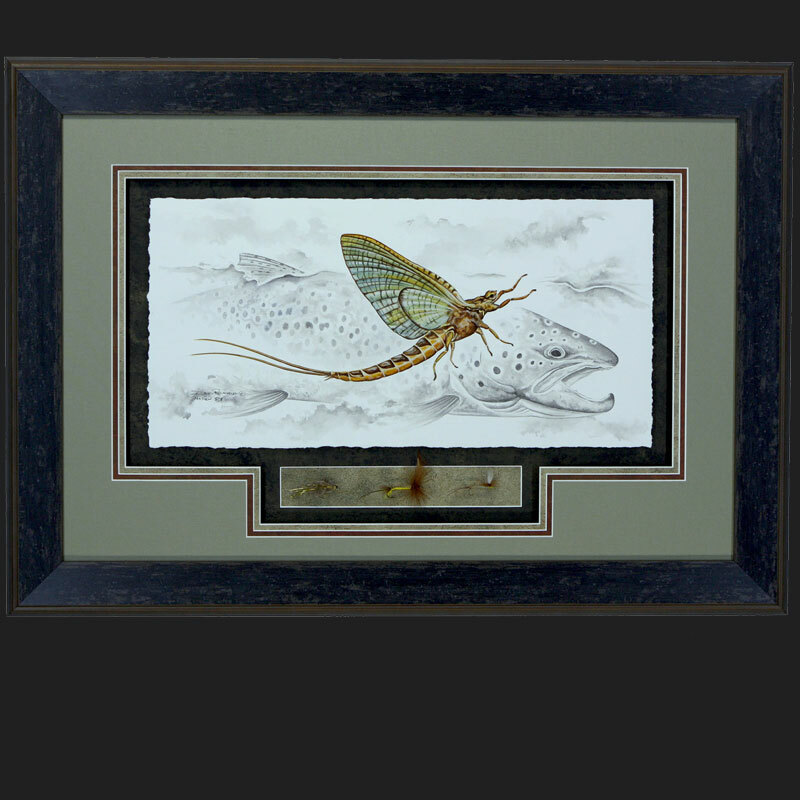 An original acrylic painting on 300 lb watercolor paper featuring a Hex mayfly in full color with a brown trout softly painted in the background. 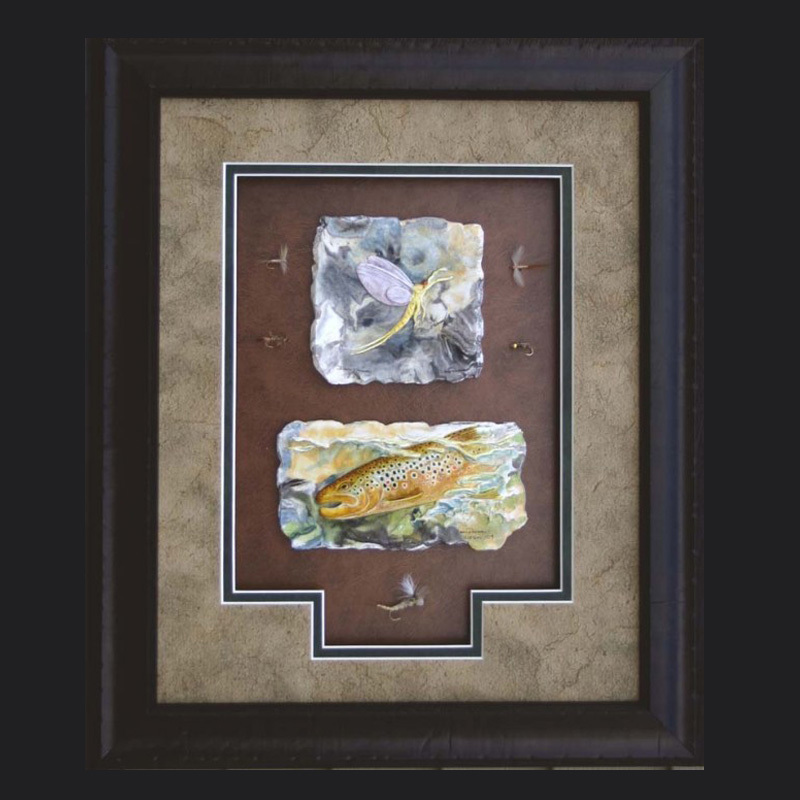 This original painting was framed with the torn edge of the paper shown framed in a shadowbox style with 3 flies. 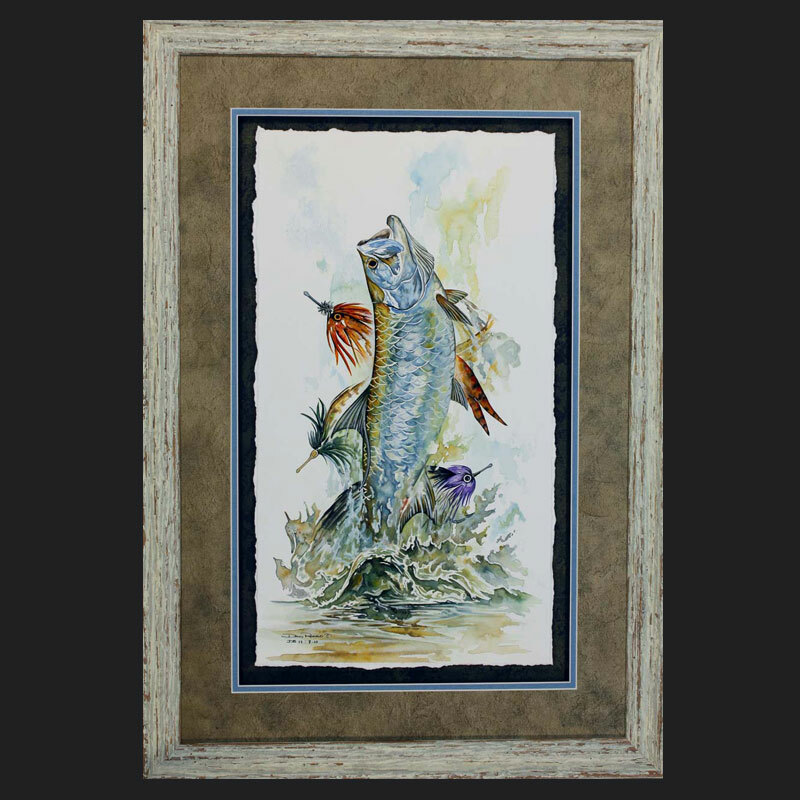 The torn edge of the paper gives this Angling Art a lot of depth when framed with 3 mat colors. 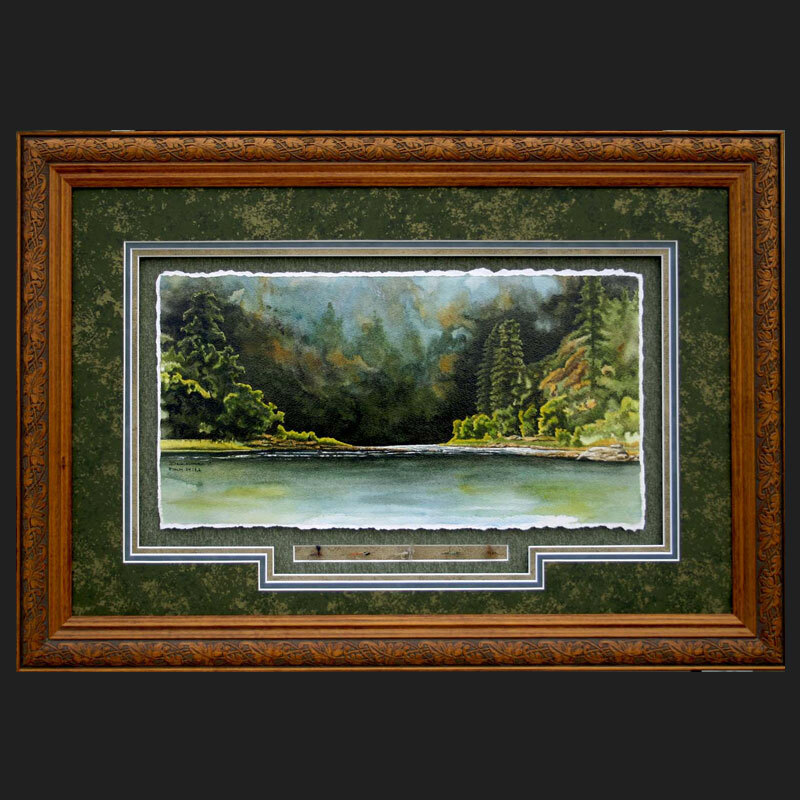 This original was coated with a conservation coating and is framed under conservation clear glass. This is currently at Streamside orvis in Traverse City, MI. Contact me for details.